Each year at Thanksgiving, I find myself with a heaping plate of absolutely everything available to me. Time and time again I work my way through the plate and end up full beyond belief. However, when the desserts start coming out, I can’t help but to snag a slice of sweetness. Despite what my stomach is telling me, and regardless of the fact that I could easily save a piece and eat it later, I still help myself to the sugary treat… but why? First let’s begin by distinguishing between hunger and appetite. There are several definitions in circulation among scholars, but, generally, hunger has been defined as the conscious sensation urging us to eat and appetite refers to food intake, selection, motivation and preference. Researchers traditionally break the neuroendocrinology of appetite into 3 parts: feeding and energy expenditure, glucose control and hedonic value. The first two parts factor in a model that looks at energy intake, energy expenditure and our body’s drive to keep our blood glucose levels in check. When I begin to fill my plate with food at the Thanksgiving table, this is due to the hormone ghrelin being released as a result of low blood glucose levels. Ghrelin is released from the stomach and stimulates hunger. As I’m eating delicious mashed potatoes, stuffing, and green beans, two other prominent hormones, cholecystokinin and peptide YY, detect the food and act on the hypothalamus and vagus nerve to start to suppress hunger. Leptin will then be released, further reducing appetite and even pleasure, causing the thought of more food consumption to be aversive. However, these hormones are intertwined with another path: the reward circuit. 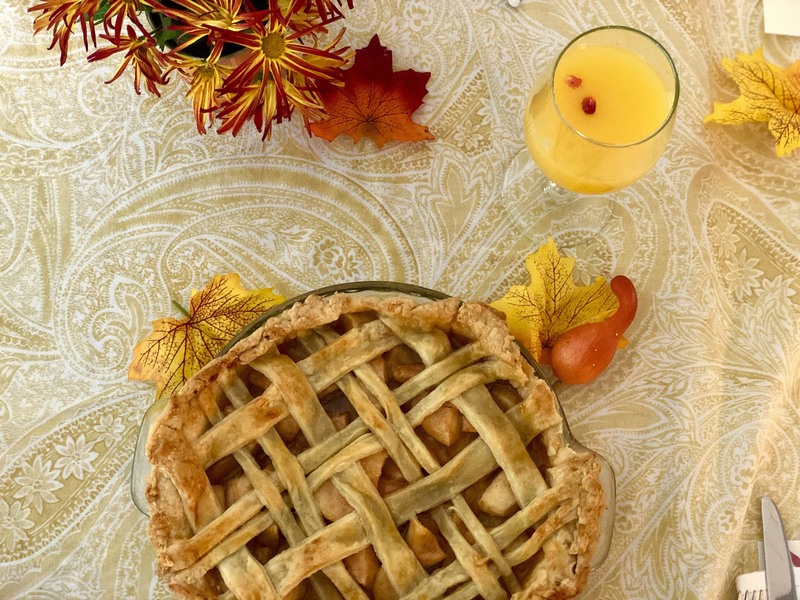 Activation in the reward circuit, which has been linked to addictive drug use and compulsive behaviors, is involved when we eat particularly palatable foods, like a slice of pumpkin pie. Studies show that even the sight of foods high in sugars, fats and sodium activate our reward circuit. The main culprit scientists attribute these feelings of pleasure with is the neurotransmitter dopamine. Neurons in the part of the brain called the arcuate will project to orexin neurons, which are located in the lateral hypothalamus of the brain. These neurons project to two major areas of the reward circuit involved in dopamine release: the ventral tegmental area and the nucleus accumbens. So when the cookies and pies are assembled in front of me at the table, you best believe my brain is glowing with dopamine activity. It is possible to become addicted to the pleasure derived from eating sugary and fatty foods. Amazing right? You can get a rush from delicious foods! While this can be great in doses, overeating these types of foods can lead to a desensitization of the dopamine release. This is very similar to what occurs with drug addiction. Over-activation of these chemicals, whether it be dopamine or a substance that mimics it, will cause a reduction in the chemical receptors. This is our brain’s attempt at moderation, however, it means we don’t just want but require more of the substance to derive the same pleasure. The reward circuit could be why it is very difficult to stop eating the chips once we’ve dipped our hand into the bag once. So how do we combat our body and brain to prevent finishing the the family size bag of chips? The short answer is there is no magical solution. Scientists are looking into the role of gut microbiota and how this interacts with our hormones and appetite. It is possible that the foods we eat influence the microbiomes responsible for digestion, and this can affect the types of food we crave. Researchers have also found that when the body is in a fasting state, ghrelin levels are not only elevated, but we are also more sensitive to reward and impulsive feeding behaviors. This suggests we are more likely to reach for less nutritious foods on an empty stomach. Orexin is the primary player in the connection between reward and appetite. While knocking out receptors that sense this hormone prevent the temptation of eating high fat diets, it could also be the reason why we have five star restaurants and how they can even stay in business. All that to say, I think overdoing it one day of the year to make your brain (if not your stomach) happy can be worth it. Berridge, K et al.“Food reward: Brain substrates of wanting and liking” Neuroscience and Biobehavioral Reviews vol. 20,1 (1996): 1-25. Blundell, J et al. “Appetite control: methodological aspects of the evaluation of foods” Obesity reviews : an official journal of the International Association for the Study of Obesity vol. 11,3 (2010): 251-70. Choi, D.L et al. “Orexin signaling in the paraventricular thalamic nucleus modulates mesolimbic dopamine and hedonic feeding in the rat” Neuroscience vol. 210 (2012): 243-248. Hernandez, L et al. “Food reward and cocaine increase extracellular dopamine in the nucleus accumbent as measured by microdialysis” Life Sciences vol. 42,18 (1988): 1705-1712. Volkow, N et al. “Reward, dopamine and the control of food intake” Trends in Cognitive Sciences vol. 15, 1 (2011): 37-46. Wise, R. “Role of brain dopamine in food reward and reinforcement” Philosophical Transactions of the Royal Society B vol. 361,1471 (2006). Siena is a Neuroscience undergraduate at the Georgia Institute of Technology. Her passions include education, writing and sustainability. When she's not studying or volunteering, she is preoccupied with a new DIY activity or art project.